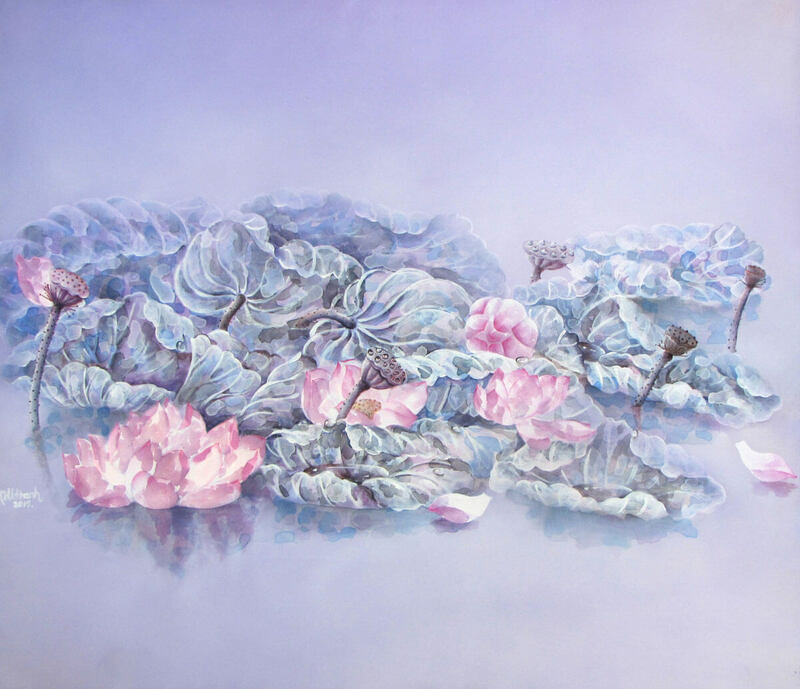 The lotus flower plays a central role in Dharmic religions, namely Hinduism, Jainism, Buddhism, and Sikhism. 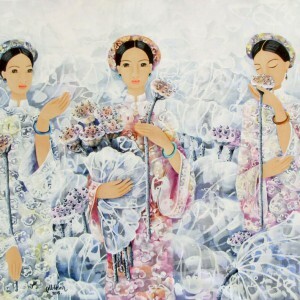 Being an attribute of many deities, lotus signifies purity and spiritual rebirth. 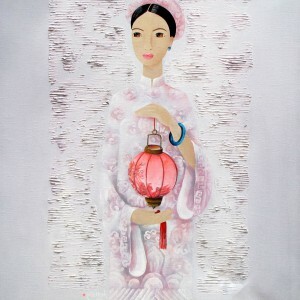 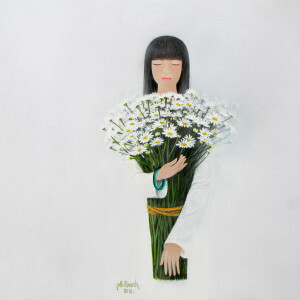 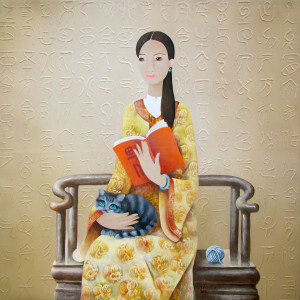 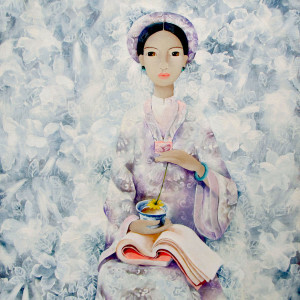 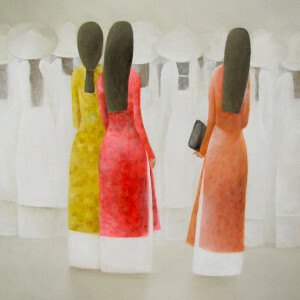 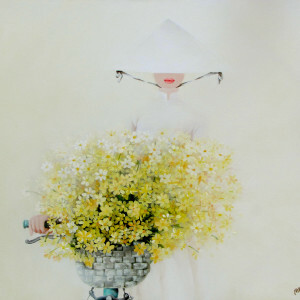 This notion became the conceptual background of this contemporary Asian painting by Phan Linh Bao Hanh.